now list the plant as invasive as it can spread aggressively into sensitive wetlands. It is posing a threat to national parks in Maryland, West Virginia, and Virginia. 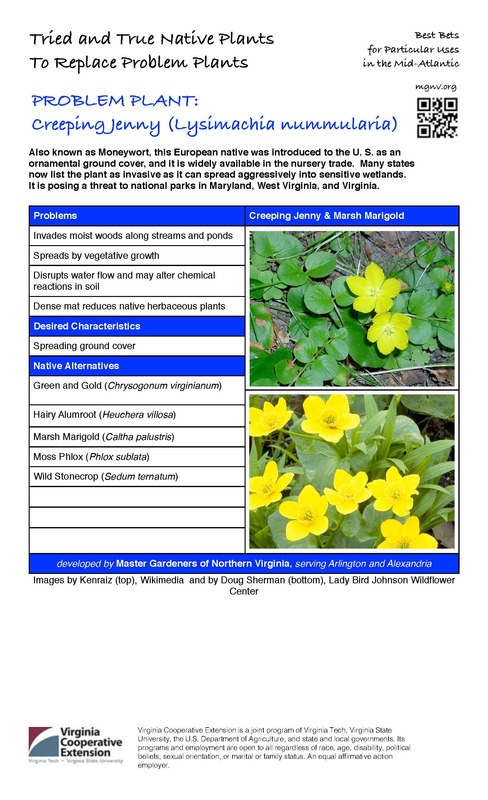 Print Version: Problem Plant – Creeping Jenny Learn more: Problem Plants. Learn more about potential alternative plant selections: Tried and True Fact Sheets.